Whether you are planning to have an intimate wedding or an exorbitant one, Mini Punjabs Lake Side will surely match your unique choice, budget, and requirements. With a capacity of accommodating up to 100 in seating and 1000 in floating, the venue has a cosy and comfortable interior for the guests. It also offers an in-house team of caterers that puts all the efforts to delight the guests with mouth watering multi-cuisine dishes. Mini Punjab's Lake Side, Powai, Mumbai is perched along JVLR, Powai Plaza and the scenic Powai Lake. Treat your guests with a royal feast of multi-cuisine delicacies to choose from in both vegetarian and non-vegetarian food. The venue is managed by the Mini Punjab Group, which includes banquet halls as indoor spaces, which are perfect for a variety of events. 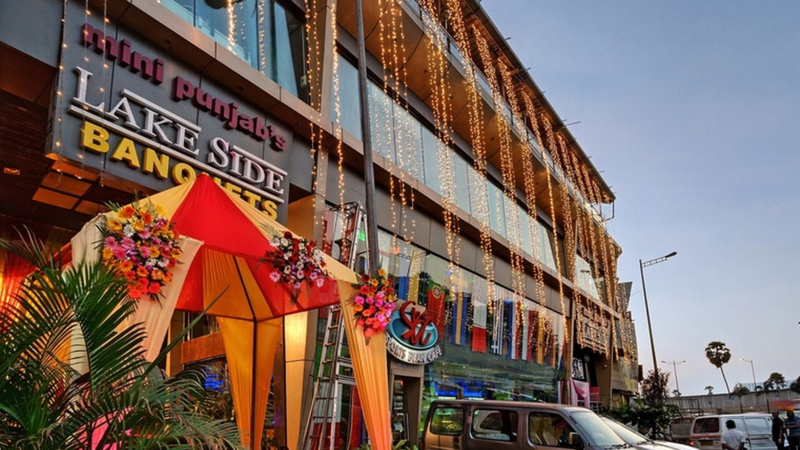 Mini Punjab in Powai has been known for years for their signature dishes and lip-smacking good cuisine; allow their experienced team to cater your entire event, and provide suitable décor options as well. The venue has an inviting ambience and the floral decoration on events entices everyone. The Mini Punjab Lakeside has multiple party areas making it great for having different functions at the same venue. The elegant decorations done on the venue gives it an elegant look which pleases everyone. Mini Punjab Powai has two-time slots you can choose the one which suits you the best. The venue is located at a close proximity to Powai Plaza and JVLR which makes it easily accessible for all. Mini Punjab's Lake Side, Powai, Mumbai has spacious banquet halls and a poolside area which can accommodate a huge crowd for your wedding and reception.